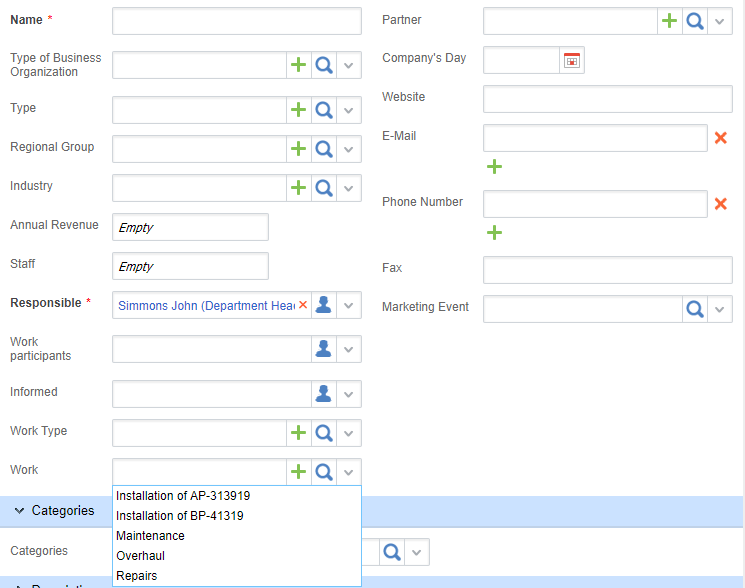 In this example, we are going to create a dynamic form for the Contractor system object, particularly, we will create a filter for one object that depends on another one. 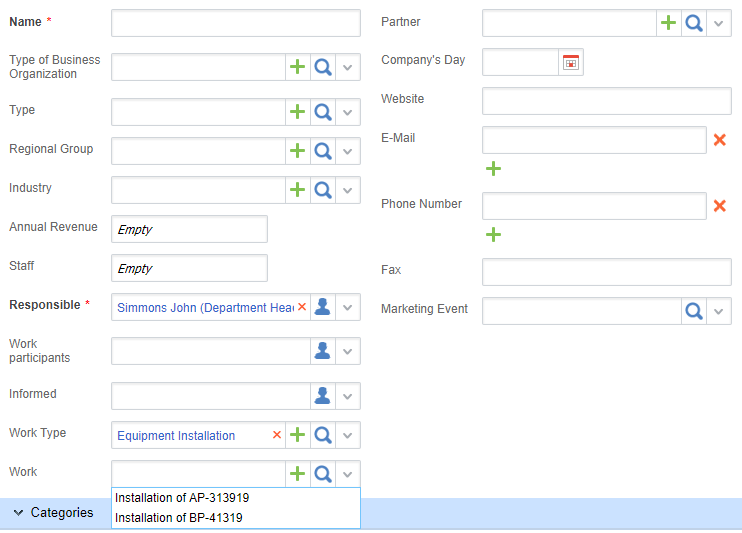 To create a dynamic form for creating and editing a Contractor object, you need to create two objects, one which will contain a link to the other. 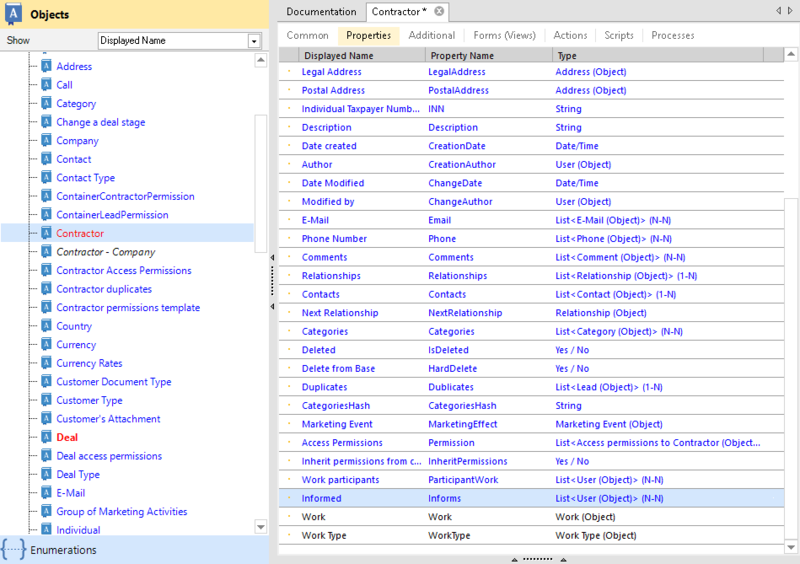 Save and publish the Work Type. 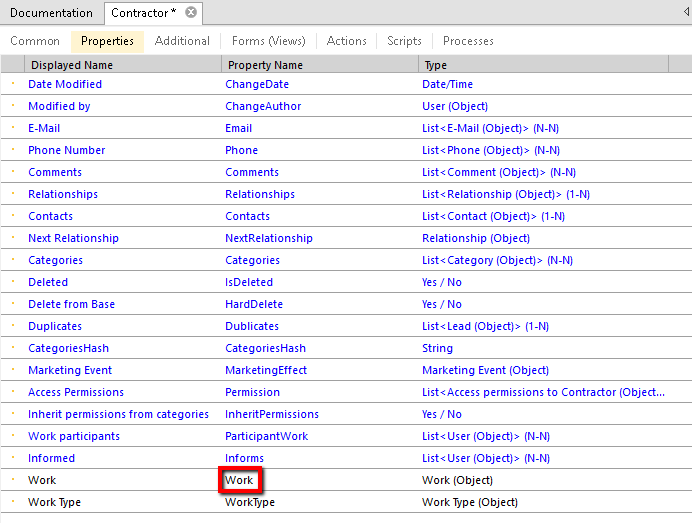 Save and publish the Work object. 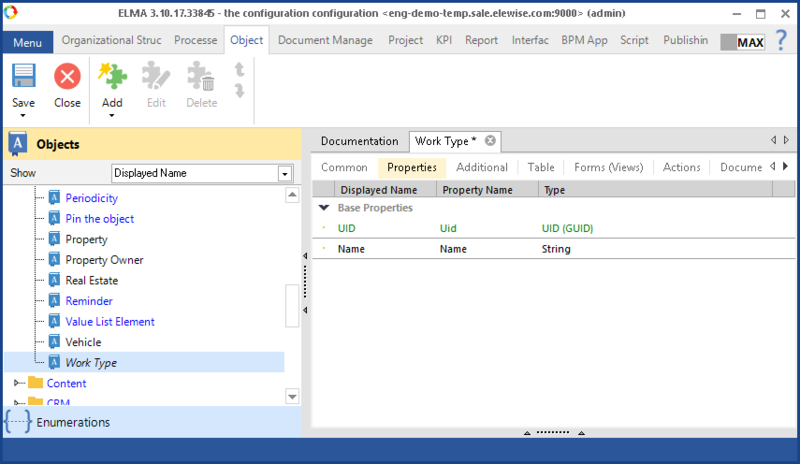 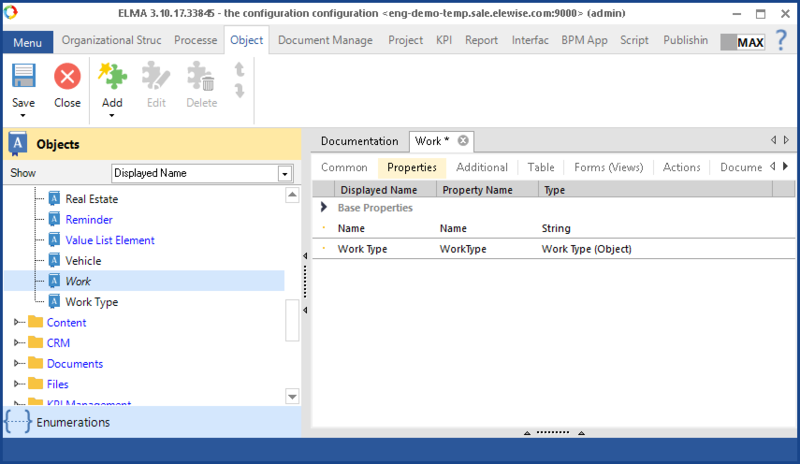 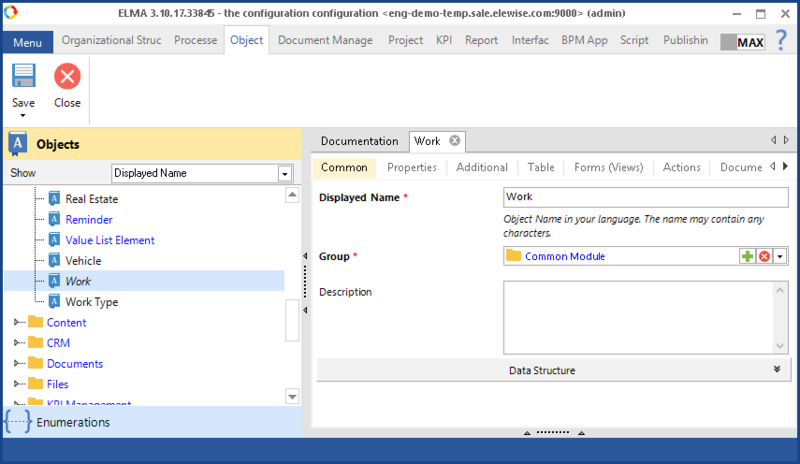 Save and publish the Contractor object, restart the server. 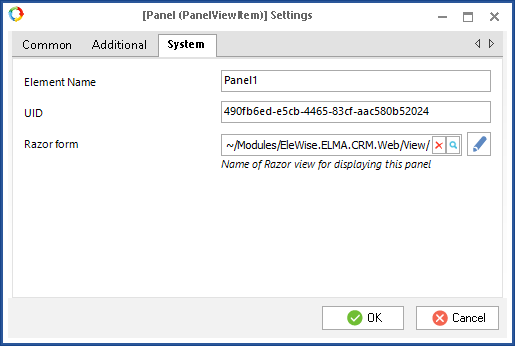 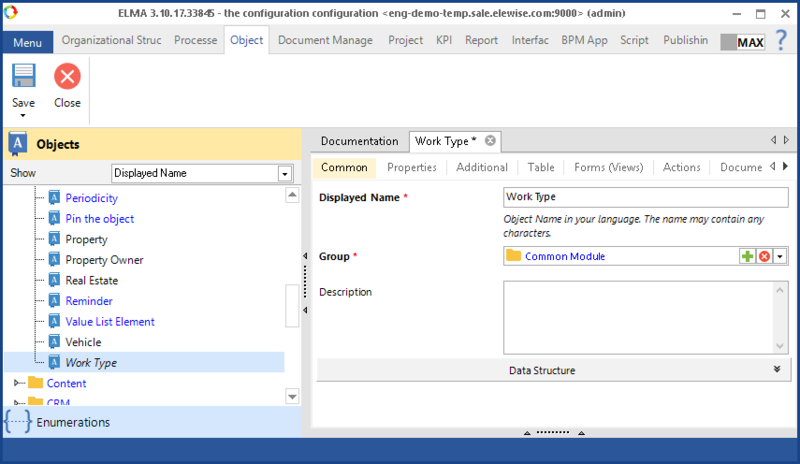 In the folder \UserConfig\WebApplication\Modules\EleWise.ELMA.CRM.Web\View (if there isn't one, create it) create a file Contractor_create.cshtml. 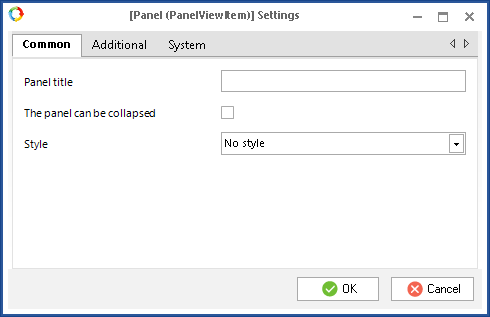 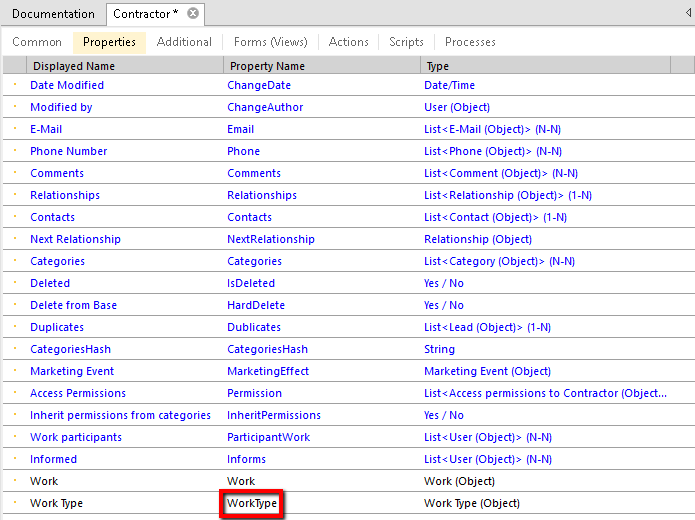 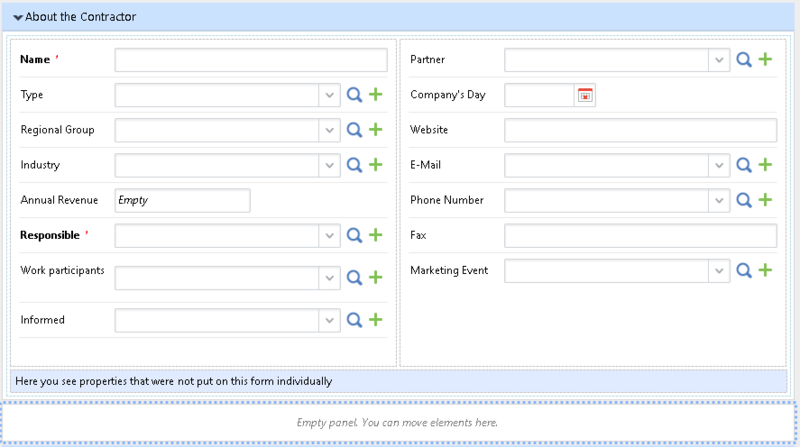 In the panel settings, on the General tab, select No style in the Style field, so that it was not visible on the form.